From whisky to skin whitening cream and gold snail masks, jewellery to fragrances, cameras, laptops and cabin bags, we trawl 2019 Asian inflight shop offerings and the best airport deals and sales. And who's doing the shopping? 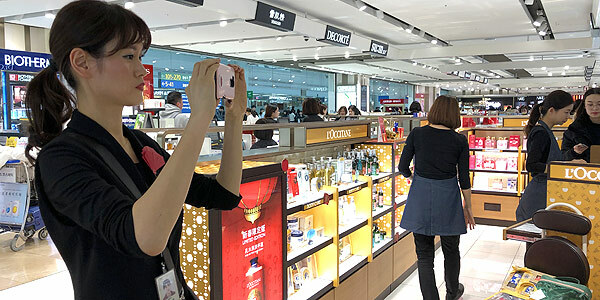 At Seoul's Incheon International Airport duty-free shopping sales are intense and varied with fragrances and skin-care products and face masks leading the way at the Shilla Duty-Free and Lotte stores/ photo: Vijay Verghese. The year 2017 was a remarkable turning point for airline inflight duty-free shopping – an almost religious travel pursuit for millions of discount-crazed far-from-crazy-rich Asians. This was the year when major legacy airlines around the world ended their duty-free offerings aloft citing dwindling sales and a management desire to cut onboard weight (a fuel-saving preoccupation for decades with cuts in inflight magazine paper thickness and a preference for diminutive travel collections when it came to spirits and perfumes). On 31 March 2017 United finally closed shop on its duty-free sales following on the heels of Delta (in 2014) and American (in 2015). The sales slowdown repercussions were not limited to the United States. They were felt Down Under as Australian biggie Qantas shuttered its inflight duty-free shopping 31 December 2017, a casualty of proliferating online shopping and deliver-at-home options. Long-haul favourite Air New Zealand had also abandoned duty free on board citing ease of purchase at duty-free stores at airports on the ground. With the retreat of onboard shopping, in 2019 pre-ordered duty-free delivered in-flight or at the home has become the favoured pursuit for many carriers like Virgin Atlantic (with British Airways hard on its heels with its High Life Shop), Korean Air, Emirates, Qatar Airways, Malaysia Airlines and Singapore Airlines. Even cash-strapped Jet Airways from India operates its online JetBoutique with special deals and discounts. And why stop at jewellery and alcohol? Browse silk ties from Hermes and Dunhill, robots from Japan and China, mobile gadgets, games, transformers, electronics, portable speakers, Bluetooth earphones, or just mundane travel plug adaptors. Certainly beats doing the crossword or Sudoku aloft though this is certainly cheaper and more satisfying for some. So what are the best duty-free deals in Asia and for inflight shopping in 2019? And which Asian airports have the edge on alcohol and perfume prices as specialist names from King Power (Thailand) to Lotte (South Korea) and Shilla (South Korea) start appearing in airports like Hong Kong and Singapore? Singapore Airlines' KrisShop is far and away one of the better inflight offerings with hugely attractive duty-free prices. 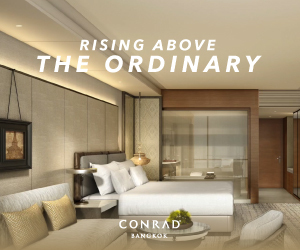 Singapore's Changi Airport also chips in with some of the most audacious sales and low pricing with the government determined to offer – if not exactly guarantee – the best duty-free rates worldwide. In March 2019 a one litre 12-year-old Scotch blend like the bog-standard and popular Johnnie Walker Black Label would set you back around US$36.20 for a KrisShop purchase (compared with US$35.25 at Hong Kong International Airport March 2019, US$38 in Bangkok's Suvarnabhumi Airport, US$39 in Bali, US$44 at Seoul's Incheon International Airport T1, and US$44 at Delhi's T3). Bear in mind most airports stock one litre bottles of alcohol and wine but some destinations prefer smaller or higher volumes depending on local customs duties (and loopholes) and taxes. 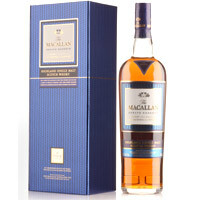 A one-litre Chivas Regal 12-year-old silver case at Changi Airport is just over US$37.40 (US$36.50 at HKIA duty free March 2019) with a Macallan Estate Reserve single malt (0.7 litres) at US$240. 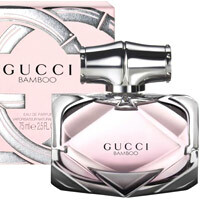 There are some good perfume picks available like the GUCCI Bamboo 75ml EDP at US$122 and the 100ml PRADA Infusions Rose EDP at US$125. Changi Airport 2019 duty-free shopping rates suggested some good buys like a 50ml EDP of Jill Stuart Crystal Bloom is at US$62.40 and a BVLGARI 50ml EDP of Rose Goldea at US$95.43. A DIOR J'adore 50ml EDP was US$102 and a Chanel No.5 50ml EDP US$106.20. Do bear in mind that US dollar exchange rates have been fluctuating a fair deal in Asia. The Cathay Pacific duty free shop has a range of seasonal offers along with a seemingly permanent 15 percent discount 30,000ft aloft, which cabin attendants advertise somewhat shabbily, if earnestly, with handheld placards. Along with an enticing US$36 duty-free price for a one-litre bottle of 12-year Johnnie Walker Black Label, look for Jill Stuart's mix blush compact for US$44, a 60ml La Mer crème de la mer at US$347, and La Prairie Skin Caviar Luxe (50ml) at US$518. Spot the popular South Korean skin repair brand Sulwhasoo and pick up a GUCCI Bloom 50ml EDP at US$106. Fancy a watch? No problem. Check out the AVI-8 Hurricane Gents Chronograph for US$199. While alcohol and macho men's watches are on tap, Cathay for the most part focuses on women's beauty, skincare, fragrances and fashion accessories. Hong Kong International Airport has a good range of duty-free designer brand options in a fairly compact shopper concourse just before the branch-off walkways to the various gates. Keep in mind the city is practically duty-free save for alcohol and spirits, perfume and cigarettes. There are also several shops that use words like ‘free-duty’ or combinations thereof as part of company names, which can be confusing for shoppers. By January 2019 at HKIA you could pick up a one litre bottle of duty-free Johhnie Walker Black Label for HK$275 or US$32.50 (up quite a bit from HK$228 a year earlier), with a 12-year-old Chivas Regal one litre pegged just a tad higher at US$36.50. This airport offers some of the cheapest duty-free price for alcohol in Asia with the only better or competitive prices offered by Singapore Changi Airport and perhaps Beijing Capital International Airport where firm government instructions (not market forces) determine pricing. In Hong Kong a duty-free Chanel No.5 parfum 15ml is priced at US$119 while a Dior J'adore 50ml EDP will also set you back HK$930 (US$119). 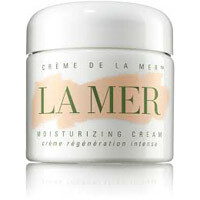 Cathay Dragon offers a similarly priced line-up of goodies with La Mer also at US$347, La Mer Eye Concentrate 15ml at US$225, La Prarie Essence of Skin Caviar 15ml at US$177, and SK-II facial treatment masks 10-pack at US$113. There is a big focus on skin care and beauty in its in-flight shopping line-up. Also find Estee Lauder's Advanced Night repair 100ml bottle at US$172 and Sulwhasoo's 60ml First Care Activating Serum at US$139. The Hong Kong Airlines Sky Shop offers an Estee Lauder 'advanced night repair' 50ml bottle at US$120, Sulwhasoo Concentrated Ginseng Repairing Cream EX 60ml at US$206, and Kiehl's Clearly Corrective Dark Spot Solution 50ml at US$92. On spirits and alcohol the airlines presents an average score with a 12-year-old silver-case one litre bottle of Chivas Regal weighing in at US$38.40 (just two dollars more than the SIA offering but marginally cheaper than on Qatar Airways). Temptations by Malaysia Airlines for inflight collection includes items like the attractive leather strap Hugo BOSS Pilot Watch (US$194), the black-dial gold rim Maserati Granturismo watch (US$296), Macallan Quest Highland Single Malt one-litre (US$66), and the 50ml PRADA La Femme EDT (US$86). THAI International Airways with the able assistance of King Power, which has the duty-free monopoly at Bangkok's Suvarnabhumi Airport, churns out a broad range of goodies with reasonable prices and seasonal sales. If you have fragrances and perfumes on your mind, look at My Burberry Blush a 50ml EDP at US$85; the US$64 Estee Lauder traveller pack spray-on set; a similar travellers' collection from Lancome at US$60; the 50ml Tiffany & Co Holiday Edition EDP at US$92; the 100ml red-case Chinese New Year limited edition EDT from Calvin Klein at US$55; and the 60ml EDP Man Wood Essence from BVLGARI priced at US$72. 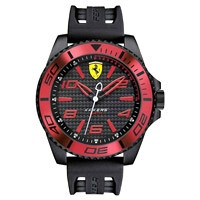 A black-dial red Roman numeral Ferrari Scuderia watch is US$195. Who are the biggest duty free shoppers at Suvarnabhumi? Some surprises. The dominant visitor arrivals to Thailand are from China yet the biggest purchasers of white spirits like gin and vodka are Indians who snap up almost half the sales. Russians, the proverbial vodka kings rank far lower on white spirits after countries like China, UK (which loves its gins), Thailand and Vietnam. The Chinese focus on high end cognacs and malt whiskies while Indians prefer blends. Thailand self-styled boutique airline Bangkok Airways (beyondflying) is keen to open duty-free concessions at airports around the country and already offers shopping discounts at major malls in Bangkok and elsewhere for foreign passengers upon presentation of a boarding pass and FlyerBonus membership card. 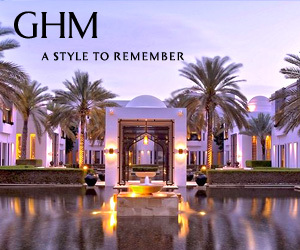 Included in the list are Gaysorn Village (Bangkok) with an accent on beauty and fashion, and Somsamao Gold at Sukhothai. The airline currently operates duty-free stores at Koh Samui airport (managed by Bangkok Airways), Surat Thani, Utapao, and Luang Prabang (Laos). Emirates offers a variety of unusual fragrances for ladies and stuff for men. In 2019 you will spot the shoe-shaped blue perfume bottle of Good Girl from Caroline Herrera 50ml EDP spray at US$94; a 75ml GUCCI Bamboo 'natural spray' at US$118; Cartier's La Panthere 50ml EDP at US$100; and Au The Noir by BVLGARI, a 75ml intense fragrance fashioned after Chinese black tea at US$98. Need a gold mesh Lambretta watch? Sure. Just fork out US$99. Qatar Airways is similarly heavy on the exotica and women's beauty and fragrances with ‘Live Irresistible’ from Givenchy a 75ml EDP at US$114; to The One Essence 65ml EDP from Dolce & Gabbana at US$117. Pick from Miu Miu, Valentino, Tom Ford, Marc Jacobs, Yves Saint Laurent, Hermes, Bulgari, Dior, Chanel and more. A Tommy Hilfiger 'Trent' casual sport watch will set you back just US$199. Pick up a Johnnie Walker Double Black 1 litre (US$49) or a 12-year 1 litre Chivas Regal Scotch Whisky (US$40). These are not the lowest duty-free liquor prices around but they fall within a broad average range, a little cheaper than New Delhi but a tad more expensive than Bangkok and Singapore. The Korean Air Sky Shop makes a huge play with whiskies, Scotch and cognacs so popular at home and with its pickled passengers. Look at Johnnie Walker Blue Label (US$138 when discounted), 21-year Royal Salute (US$106), 30-year-old Ballantine's (US$315), 18-year Chivas (US$60), and 18-year-old Glenfiddich Single Malt Whisky (US$78). The airline is no slouch on inflight duty-free on the perfumes front either. 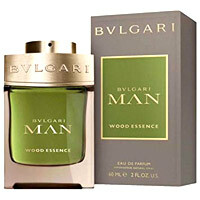 Look at the Bulgari Man Wood Essence EDP in its signature olive green bottle at US$70 (a touch cheaper than THAI), Carolina Herrera Good Girl 50ml EDP (US$81, far cheaper than the US$94 on Emirates), and much more. Fashion, jewellery, accessories and watches are well stocked at Korean, which compares well vs several Middle Eastern airlines on duty free prices. Incheon International Airport's T1, Seoul, offers several brands all easily accessibly by a travelator that runs along the semicircular terminal. Spot standalone duty-free stores for COACH, Fendi, Celine, Loewe, TOD's, Bally, Balenciaga, Tory Burch, Moncler, and Miu Miu. Perfumes and bags are in a more compact space with Furla and Jill Sanders and a range of fragrances like Dior's J'Adore 50ml EDP (US$111, about the same as in New Delhi and a little cheaper than Hong Kong) and the eau de toilette (US$92, marginally better than Bali). In January 2019, the new Dior JOY 50ml EDP was priced at US$111, a 50ml BVLGARI Rose Goldea EDP at US$101, and a Biotherm 75ml 'life plankton mask' gel at US$45. A 12-year-old one-litre Johnnie Walker Black Label retails for a duty-free price of US$44 in Seoul (higher than most other airports) and a silver case Chivas 12-year one litre bottle for US$41 at Shilla Duty Free. Hugely popular at the brisk and friendly Shilla Duty Free airport store are the skin care products, especially snail masks of various sorts. The Tony Moly 'Gold Snail Hydro Gel Mask' intensive care retails for US$188 (40 pieces) while the Intensive Care Snail Mask Hydro Gel (minus the gold) is US$80 (30 pieces). Expect lots of extras and buy one get one offers. Cheaper duty-free prices for masks can be had with MISSHA's Red Ginseng and Snail mask (1 + 1) at US$26 for 20 pieces. The other Korean duty-free biggies are the well stocked and very visible Lotte Duty Free (with a big duty-free presence downtown) and the smaller Shinsegae. 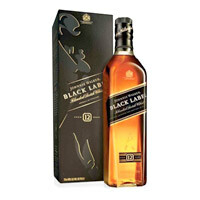 India's struggling Jet Airways (Jet Boutique) offers Johnnie Walker Blue Label one-litre bottles at US$200 with Johnnie Walker Black Label one-litre priced at an astounding US$30 (a special festive discount that undercuts just about every alcohol listing in this 2019 duty-free survey). Watch for the airline's seasonal discounts. Its fashion line-up includes brands like Swarovski, FOSSIL, Montblanc, Pierre Cardin, Guess, Seconda and Hugo Boss while its beauty offerings include Bulgari, Paco Rabanne, PRADA, Ralph Lauren, Cartier and Armani. Meanwhile duty-free prices at Delhi Airport's international Indira Gandhi T3 ranged in February 2019 from US$42 for a litre of Johnnie Walker Black Label and the same for a one litre bottle of 12-year-old Chivas to a dirt cheap US$27.50 per bottle on a special rate for two bottles of JW Black. Festive discounts at Delhi airport are exceptional. Also find a 50ml EDP of Dior's popular J'adore perfume at US$103. If you're in the mood for a spot of duty free shopping, in lazy Bali's I Gusti Ngurah Rai international airport, a one litre bottle of 12-year-old Chivas is approximately US$37, a one litre Johnnie Walker Black US$38.50 and a 50ml EDP of Dior's J'Adore is US$95. A 7.5ml parfum bottle of Chance by Chanel will set you back US$158 with a Ferragamo silk tie weighing in at US$190. Meanwhile national airline Garuda Indonesia's GarudaShop offers a wide array from backpacks and bags from the smart brown-strap HERSCHEL Retreat Backpack - Navy (US$92) to the more pricey RIMOWA Bossanova Jet Green-Beige cabin bag wheelie (US$1,340). A Promeso passport holder (don't we all need one?) will set you back just US$10. 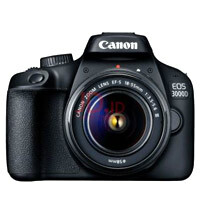 A Canon EOS 3000D DSLR camera (with a very useful 18-55mm lens) has a duty-free price tag of US$370 while a 13-inch Apple Macbook Pro will cost US$1,685. For gamers there's the SONY Playstation 4 (500gb) at US$280. There's no end to what you can buy on the GarudaShop programme, even fresh food. Filipinos are legendary shoppers and the Philippine Airlines Sky Boutique offers a 10 percent discount on online duty-free purchases with a one litre 12-year-old Chivas Regal priced at roughly US$39.60, just a shade more expensive than at Singapore Changi Airport, and the one litre Johnnie Walker Black at US$43 (in the higher range). PAL duty free retails the Bulgari Rose Goldea Jewel Charm 25ml EDP at US$56 and the Bulgari Man Wood Essence 60ml eau de parfum EDP at US$74 (again marginally more expensive than THAI and Korean Air). Bear in mind that exchange rate fluctuations affect these prices on a daily basis. Vietnam Airlines is not a name that might leap to mind when thinking about low cost duty-free shopping. 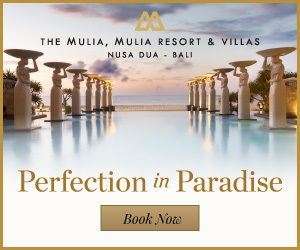 Yet the airline's LotusShop (launched in 2016 and revamped late 2018) has a vast assortment of designer brands, fragrances, jewelry, alcohols and watches at attractive prices. A GUCCI Bloom 50ml EDP retails for US$106 (the same as on Cathay Pacific, it's joint service partner airline), with Carolina Herrera's Good Girl 80ml EDP at US$123. More good news for women shoppers - the DIOR J'Adore 50ml EDP is a steal at US$89. A Hugo BOSS Gent's watch - Pilot Edition, is priced at US$199 with a blue face, silver bezel and deep camel leather strap while the Ferrari Scuderia black-and-red watch with chronograph quartz movement retails for US$295. Meanwhile on the ground at Ho Chi Minh's Tan Son Nhat International Airport you can pick up up some of the cheapest duty-free alcohol in Asia with a 12-year JW Black one litre at US$33 and a 12-year-old Chivas Regal silver case one litre bottle at US$37 (compared with US$36 at Singapore's Changi Airport and Hong Kong's US$36.50). And that's the A to Z of inflight and Asian airport duty-free shopping with best prices - on a trampoline of bouncing exchange rates.